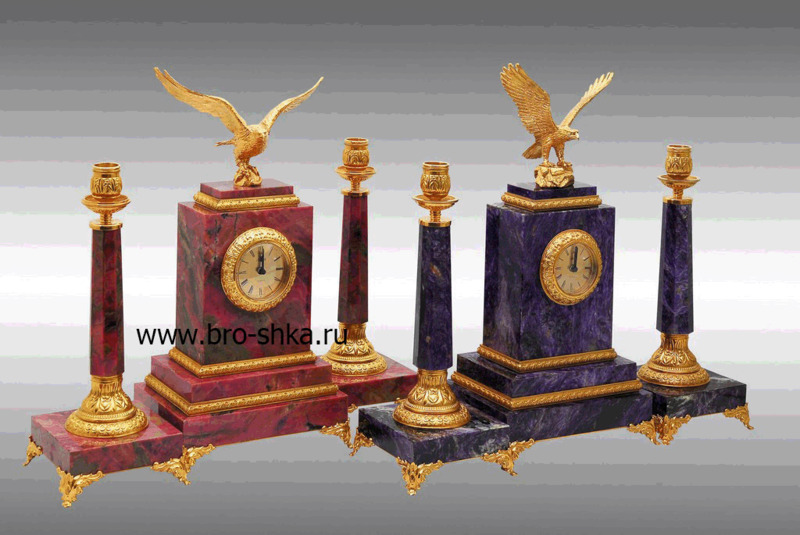 Fireplace set: the clock, candlesticks. 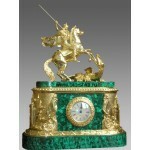 Malachite, cast - bronze or brass, anodized in the color "Gold". 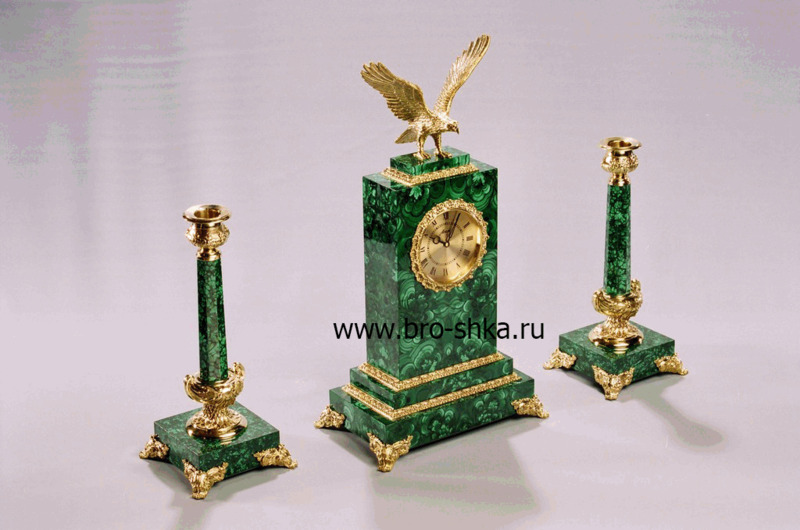 Dimensions: 210 hours * 160 * 385-400 mm (height at the point of an eagle), candlesticks 125 * 125 * 300 mm.